The little town of Pontresina is a delightful mix of nature and heritage and still retains a typical old world charm that entices you immediately. 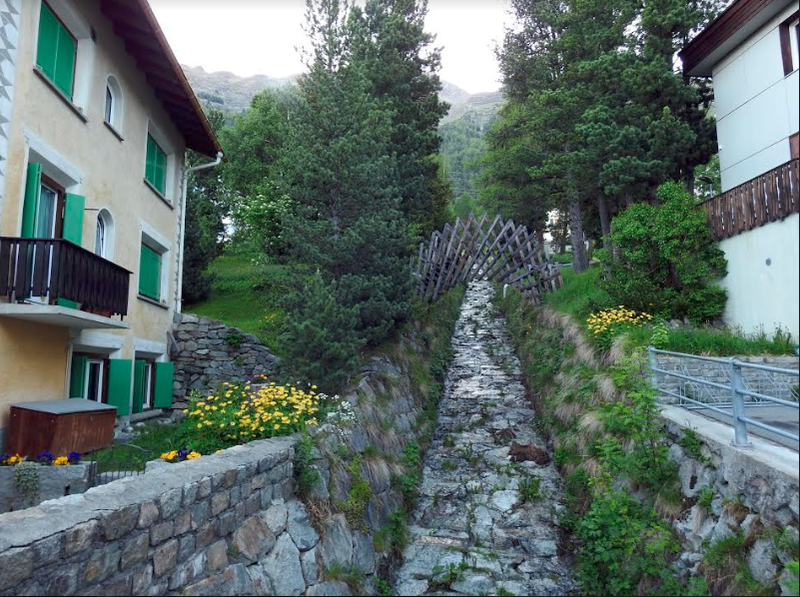 Stepping off the train station in Pontresina, I walk a few steps and find myself in a densely wooded country road with a beautiful stream gushing down on one side. Looking around the picture perfect vistas with childlike wonder, I am in for a surprise as I spot a pine cone below my feet. And soon many more pines in all sizes as I realise with my utter delight that I am walking amidst a pine forest to my hotel here. 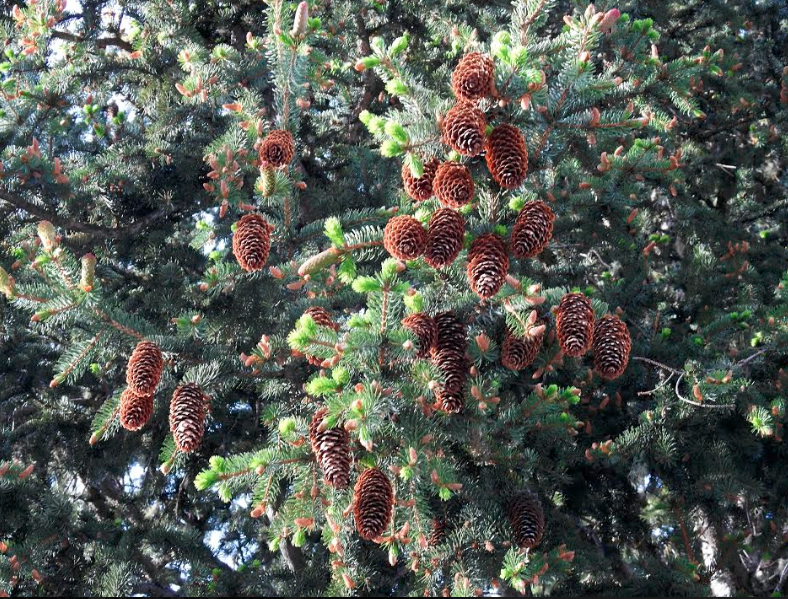 Collecting the fallen pines is my first memory of this beautiful town that is so quiet that it caresses my urban soul with a fresh mellowness like no other. Known as a mountaineer’s destination, this town is surrounded by snowcapped Alps all through the year. Naturally then this holds a special place in the hearts of nature lovers. Again, there are different activities that you can choose in the summer months and the winters as well. 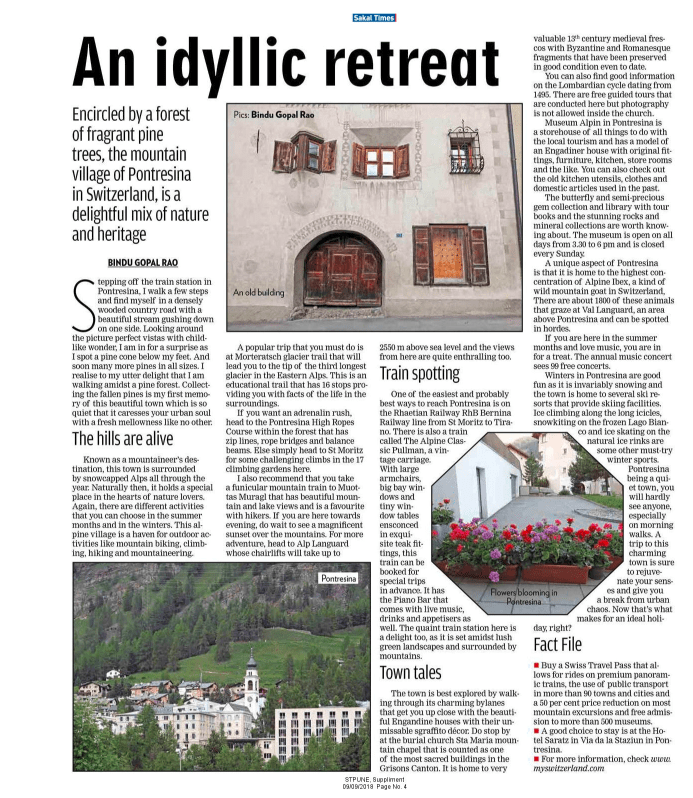 This alpine village is a haven for outdoor activities like mountain biking, climbing, hiking and mountaineering. A popular trip that you must do is at Morteratsch glacier trail that will lead you to the tip of the third longest glacier in the Eastern Alps. This is an educational trail that has 16 stops that provide you with facts of the life in the surroundings here. If you want an adrenalin rush head to the Pontresina High Ropes Course within the forest that has zip lines, rope bridges and balance beams that is a hot with adults and children alike. 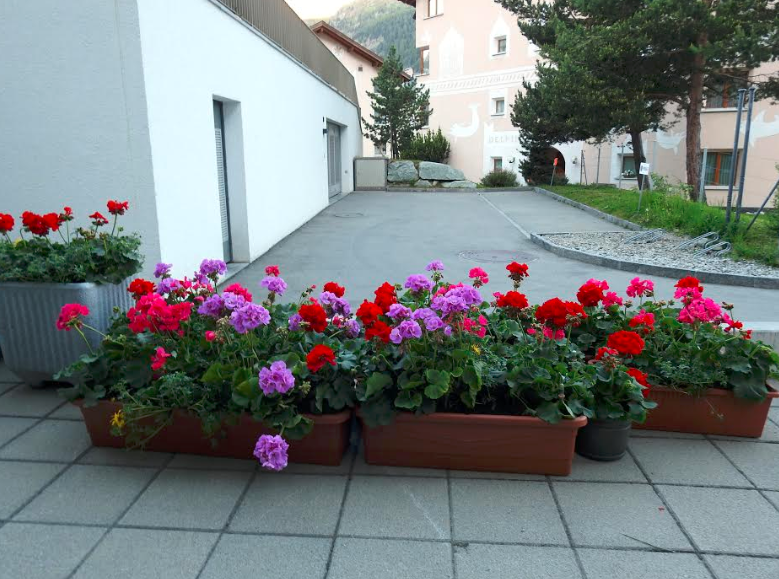 Else simply head to St. Moritz for some challenging climbs in the 17 climbing gardens here. I also recommend that you take a funicular mountain train to Muottas Muragl that has beautiful mountain and lake views and is a favourite with hikers. If you are here towards evening, do wait to see a magnificent sunset over the mountains. For more adventure head to Alp Languard whose chairlifts will take up to 2550m above sea level and the views from here are quite enthralling too. One of the easiest and probably best ways to reach Pontresina is on the Rhaetian Railway RhB Bernina Railway line from St. Moritz to Tirano. There is also a heritage train that ply’s on this track. The Alpine Classic Pullman a vintage carriage that is also run by the Rhaetian Railway. With large armchairs, big bay windows and tiny window tables ensconced in exquisite teak fittings this train can be booked for special trips as well in advance. This train has the Piano Bar that comes with live music, drinks and appetizers as well. The quaint train station here is a delight too set amidst lush green landscapes and surrounded by mountains. The town is best explored by walking through its charming by lanes that get you up close with the beautiful Engandine houses with their sgraffito décor that is unmissable. Do stop by at the burial church Sta. Maria mountain chapel that is counted as one of the most sacred buildings in the Grisons Canton. It is home to very valuable 13th century medevial frescos with Byzantine and Romanesque fragments that have been preserved in good condition even to date. You can also find good information on the Lombardian cycle dating from 1495. There are free guided tours that are conducted here but photography is not allowed inside the church. 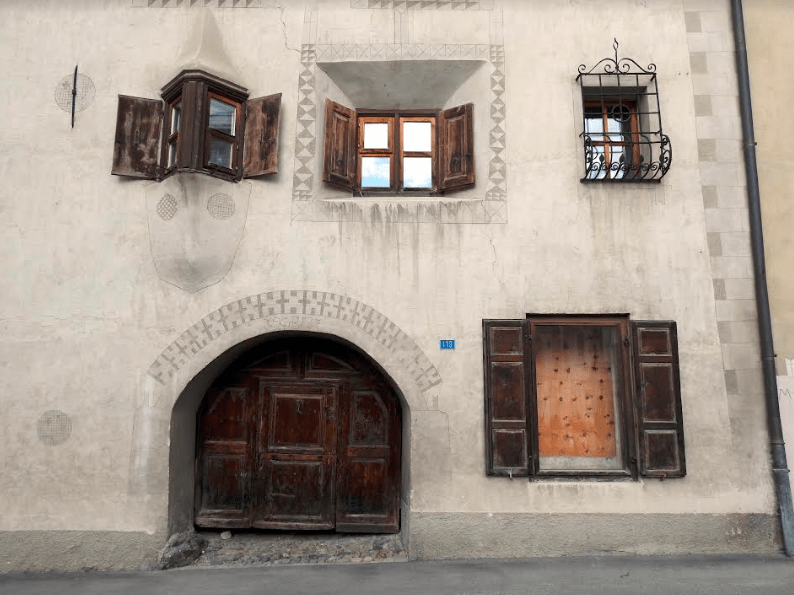 Museum Alpin in Pontresina is a storehouse for all things to do with the local tourism and has a model of an Engadiner house with original fittings, furniture, kitchen, store rooms and the like. You can also check out the old kitchen utensils, clothes and domestic articles used in the past. The butterfly and semi-precious gem collection and library with tour books and the stunning rocks and mineral collections are worth checking out. The museum opens on all days from 3:30 p.m. to 6:00 p.m. and is closed every Sunday. A unique aspect of Pontresina is that it is home to the highest concentration of Alpine Ibex a kind of wild mountain goat in Switzerland, There are about 1800 of these animals that graze at Val Languard an area above Pontresina and can be spotted in hordes. If you are here in the summer months and love music you are in for a treat. The annual music concert sees 99 free concerts when salon music performed by Camerata in the Tais forest. Winters in Pontresina are good fun as it is invariably snowing and the town is home to several ski resorts that provide skiing facilities. Ice climbing along the long icicles, snowkiting on the frozen Lago Bianco and ice skating on the natural ice rinks are some other must try winter sports. The best way to explore the town is by taking a walk and you will come up close with several natural beauties from the lush streams that gush down from the mountain slopes to wild flowers that bloom across the town. Being a quiet town, it is likely that you will hardly see anyone especially on morning walks which makes the place quiet and charming. A trip to this charming town is sure to rejuvenate your senses and give you a break from urban chaos. Now that is what makes for an ideal holiday, right? Buy a Swiss Travel Pass that allows for rides on premium panoramic trains, the use of public transport in more than 90 towns and cities and a 50% price reduction on most mountain excursions and free admission to more than 500 museums. A good choice to stay is at the Hotel Saratz in Via da la Staziun in Pontresina. Do check out www.MySwitzerland.com for more information.